With the 100th anniversary of the sinking of the great ocean liner, Titanic, has come a lot of talk, ranging from myths about the event, to advertisements for exhibits about the disaster, to testimonies from survivors or about them. There is one man who has just come up recently in the social media sphere who has been relatively under the radar – I found out about him from a link off Facebook, posted by lifesitenews.com. Since then, he has been making his way around. Fr. Byles was born as Roussel Davids Byles on February 26, 1870 in Shelton, Hanley, Staffordshire. He was the eldest of seven children, and grew up in a Protestant family, his father being a well-known Congregationalist. Thomas was the name he chose when he was baptized in the Catholic Church. He was educated at Leamington College and Rossall School, Fleetwood, Lancashire, and eventually obtained a Bachelor of Arts in 1894 from Balliol College, Oxford. During his schooling in Rossall, he became tired of the Congregationalists utter denial of the sacraments and their Nonconformity to the Church of England, and he was received into it while in Oxford. Fr. Byles’ brother William was the first to enter the Catholic Church. Fr. Byles was prepared to become a Deacon in the Church of England, but became unsatisfied with it and was not quite sure about Catholicism, and so began even more deeply his search for the truth. This search led him to the Catholic Church and he was baptized sub conditione on May 23, 1894 at St. Aloysius Church in Oxford. After some time of discernment, further education, and teaching, he entered the Seminary at Beda College in Rome. He was ordained on June 15, 1902 in the Church of Saint Apollinaris. He stayed in Rome and then in February of 1903 he went to live in Longcott, Gunnersbury. Fr. Byles was one of the founding members of the Catholic Missionary Society, which is a group dedicated to the conversion of English Protestants to the Catholic Faith. Later, he was transferred to Our Lady Immaculate and the Holy Archangels in Kelvedon, and in 1905 he found himself at St. Helen’s in Ongar, Essex. Fr. Byles brother William moved to New York for business and fell in love with Katherine Russell who was from Brooklyn. It was their upcoming wedding which prompted Fr. Byles’ trip. Fr. Byles was asked by his brother to officiate at his wedding, which would take place at St. Augustine’s Catholic Church. Fr. 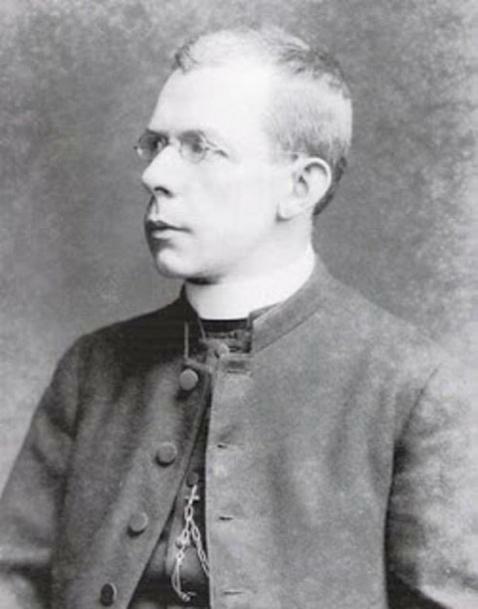 Byles was reciting his Roman Breviary at the time that the Titanic struck the iceberg. 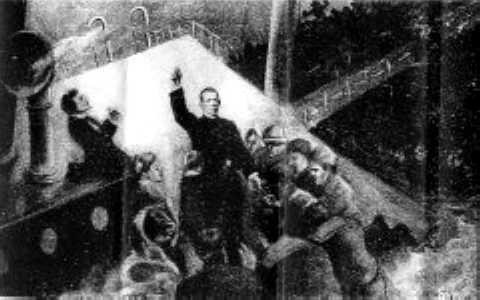 Immediately he made his ways to third class to calm the passengers, offer his priestly blessing, and begin hearing confessions, followed by recitation of the Rosary, and then leading the passengers up to the boat desk to begin boarding the lifeboats, comforting and encouraging them. As the danger increased, he continued to hear more confessions and lead more rosaries. Fr. Byles was offered twice a seat in a lifeboat but he refused. Once the last lifeboat departed, Fr. Byles made his way to the after deck of the boat to lead another rosary.” Father Byles also exhorted the people to prepare to meet God. As 2:20 a.m. approached, and the stern rose higher and higher out of the sea, Father Byles led the more than one hundred people kneeling before him in the Act of Contrition and gave them general absolution. (www.frthomasbyles.com). Fr. Byles died with the others in the sinking of the Titanic, and his body was never found. His brother William and fiancee Katherine proceeded with their wedding, a very simple ceremony. Following the wedding, in St. Paul’s Church, the bridal party went home, changed into clothing suitable for a funeral, and went back to the Church where Rev. Father W. Flannery offered a requiem Mass for Fr. Byles. Later that year, William and Katherine went to Rome where they had a private audience with Pope Saint Pius X, who said that Fr. Thomas Byles was a martyr for the Church. 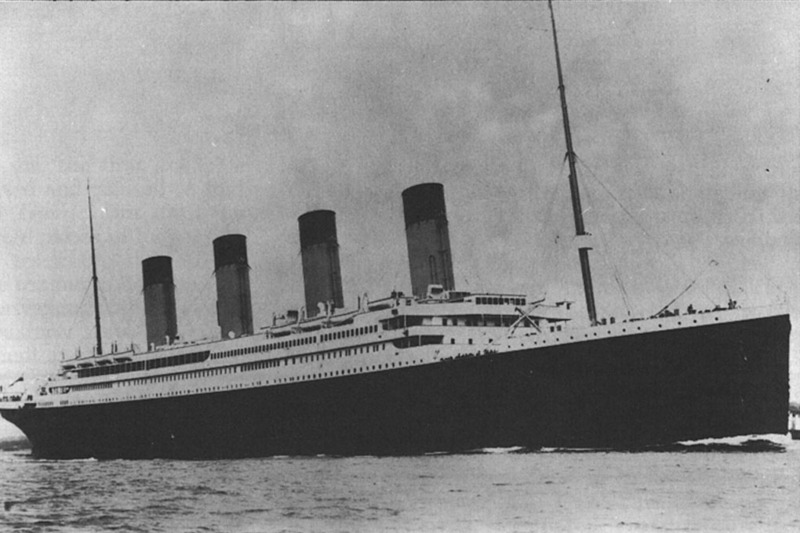 On this, Divine Mercy Sunday, I was reflecting on the tragedy of the sinking on the Titanic, Fr. Byles, and the mercy of God. 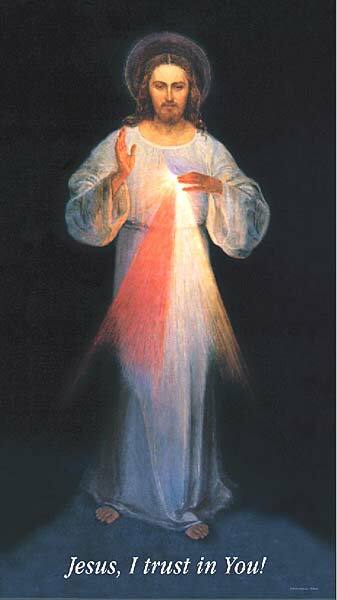 I was pondering the greatness of the mercy of God, in that although it was not technically Divine Mercy Sunday 100 years ago, it did not change in any way the mercy of God. He is so merciful that, as he knows everything about us – past, present-future, he knew that this tragedy would happen. 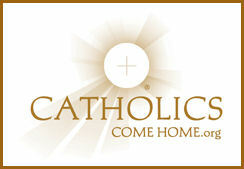 And in His Divine providence, Fr. Byles was on that great ship to offer the sacraments, namely offering confession and absolution, in persona Christi, in the face of imminent death. What an incredible God! Fr. Thomas Byles, pray for us.